Yesterday Mathew Prince, the CEO of Cloudflare posted some awesome data on his company’s blog showing that the U.S. has a higher cost for bandwidth than Europe. He’s not the only one with such data, but he’s one of the first to discuss it so openly and to dive into how the costs of peering versus buying transit affects those costs. First off, transit is where a company buys wholesale bandwidth on a per gigabyte basis from providers that can range from Level 3 and Tata to companies like Comcast or AT&T. Peering on the other hand, is a direct link to another providers’ network that can be paid or set up as a free exchange of traffic. [blockquote person=”” attribution=””]Because of the high rate of peering and the low transit costs, Europe is the least expensive region in the world for bandwidth. The higher rate of peering is due in part to the organization of the region’s “peering exchanges”. A peering exchange is a service where networks can pay a fee to join, and then easily exchange traffic between each other without having to run individual cables between each others’ routers. Networks connect to a peering exchange, run a single cable, and then can connect to many other networks. Since using a port on a router has a cost (routers cost money, have a finite number of ports, and a port used for one network cannot be used for another), and since data centers typically charge a monthly fee for running a cable between two different customers (known as a “cross connect”), connecting to one service, using one port and one cable, and then being able to connect to many networks can be very cost effective. So in places where cross-connect costs are high, it can make less sense to peer until you’re a much bigger player because instead of paying fees associated with direct peering, buying transit on a per gigabit basis can be more economical. Transit prices continue to drop! And in the U.S. cross-connect pricing is high, as this chart from TeleGeography shows. Jon Hjembo, a [company]TeleGeography[/company] analyst, explains the differences in U.S. versus European cost-connect pricing as a matter of business models between exchanges (Prince does too). Hjembo notes that in Europe, third-party internet exchanges are much more common where different providers and exchanges all co-locate in data centers. These hubs make it easy for many providers to directly connect their networks at a low cost. So we have higher interconnection costs for smaller providers in the U.S. that can lead to higher set up-costs for peering, which in turn raises U.S. bandwidth prices. We also have a regulatory vacuum and an uncompetitive last-mile broadband market that’s further distorting the market for bandwidth costs. Together these two things could drive up prices, and even if the cross-connect pricing drops, the last-mile monopoly might end up pushing prices up faster than they might be lowered at the data center. As Prince notes in his piece, peering in the U.S. is becoming a hot topic thanks to Netflix fighting with the major U.S. ISPs for the ability to deliver its content to subscribers at the top four ISPs without having to pay for direct interconnection. There are two types of peering– the type where two networks interconnect because it’s beneficial to them and which is how 99 percent of the peering agreements happen or paying the provider a fee to peer with them based on how much traffic is sent over the link. [company]Netflix[/company] now pays to send traffic to [company]AT&T[/company], [company]Comcast[/company], [company]Time Warner Cable[/company] and [company]Verizon[/company]. We’ve covered why this is a problem, as does Prince, but Dave Burstein, a respected writer covering telecommunications also does a good job pointing out that while the current prices ISPs are charging Netflix for interconnection rates are low, they represent a shift in the network neutrality fight. The issue with network neutrality is that we need it because the last-mile broadband market is not competitive. If a consumer’s ISPs starts blocking content or charging content companies more to deliver their bits, the consumer can’t vote with their feet. 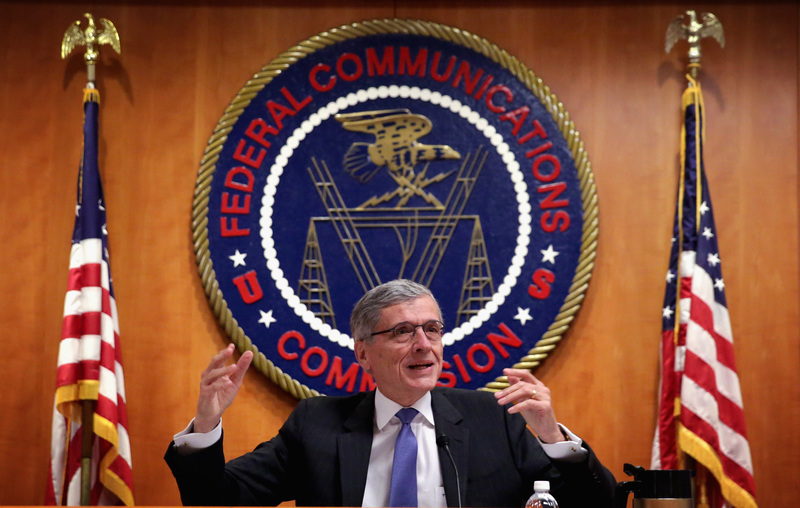 The FCC has decided that network neutrality only affects the last mile connection between the consumer and the ISP’s network. Meanwhile, peering fees are charged where a content provider wants to get onto the ISP’s network, putting it outside the net neutrality fight. But the lack of competition is still a problem, and regulators need to be aware that ISPs are seeking to exploit that vacuum for their own gain, as Burstein reports. For those who don’t care about the cost of bandwidth, or think all of this is an esoteric argument that will ultimately have little effect on the internet, let me disabuse you of that notion. The transactions that Prince is writing about, either buying transit or negotiating interconnection or peering agreements is at the heart of bandwidth creation. While the pipes in the ground have a set limit on the capacity they can transmit and cost money to upgrade, the electronics to fill those pipes are pretty cheap on a relative basis. Thus, once you have high capacity fiber in the ground connecting places, you can transmit at that capacity with fairly predictable operational costs. One reason the internet is such a successful platform for innovation is that it provides a cheap distribution model for everything from computing to cat videos. Things that raise the cost per bit — be it monopolies charging rents to get data to the consumer or businesses that want to take a cut from linking two networks together — raise the cost of that distribution and can impede it. And that’s going to change the internet as we know it — likely not for the better. Stacey, you’re mixing two very different issues with very different economics. Equinix charges higher rent than the non-profit exchanges in London, Amsterdam and Paris; that’s what Prince said. But transit prices – actual bandwidth – costs the same in the U.S. and Western Europe. So Prince wants cheap rent at IXs so he can get more peering. All of that is about real estate and it has nothing to do with how much Comcast charges Netflix for transit. There are at least two different models with several variations in Europe for ISP competition, but that’s a totally separate deal. If you want to go into the ISP business in Europe you can get cheap access to an ADSL-quality last mile, but if you want to offer VDSL or DOCSIS you have to actually invest some actual money. In reality, there is very little service-differentiated ISP competition in Europe for advanced broadband networks. If you want to buy VDSL or DOCSIS-grade connections, you need to buy them from the firm that builds the infrastructure, just as you do in the U. S.
Clearly, America has no business trying to upstage Ireland as a technological powerhouse. 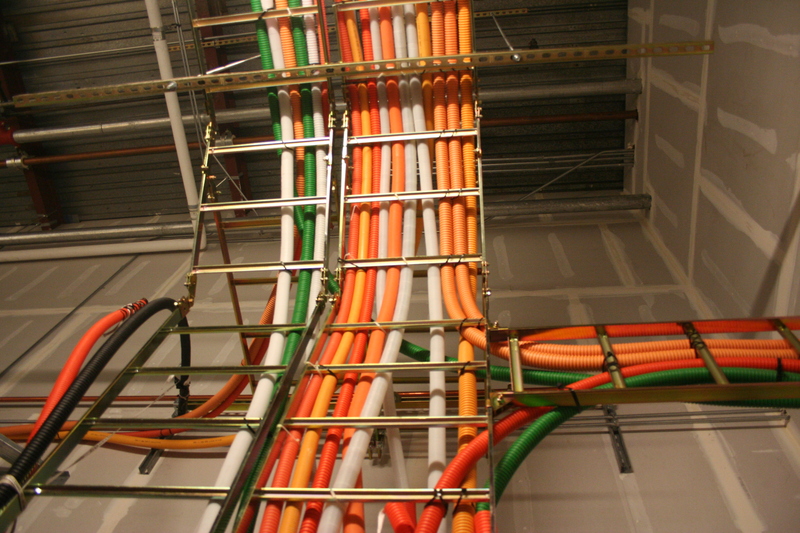 The cost of delivering broadband connectivity to millions of homes far outweighs the costs connecting routers in data centers. According to Akamai, only 9 countries have average broadband speeds that exceed the US: South Korea, Japan, Hong Kong, Switzerland, Netherlands, Latvia, Sweden, Czech Republic, Ireland. Do you notice a pattern there? Perhaps it is something to do with population density? Maybe it is easier to wire up 100 apartments in a city than 100 homes in the suburbs. A similar pattern exists when you compare US states. It is true that once the wires are laid, it costs little extra to fill them with bits. But, the same can be said for the grocery store. Once the food is on the shelves, it costs little extra for people to walk off with it. Still, the people who made investments to get it there must still be paid.